This PFD sample was redesigned from the Wikipedia file: NaturalGasCondensate.png. 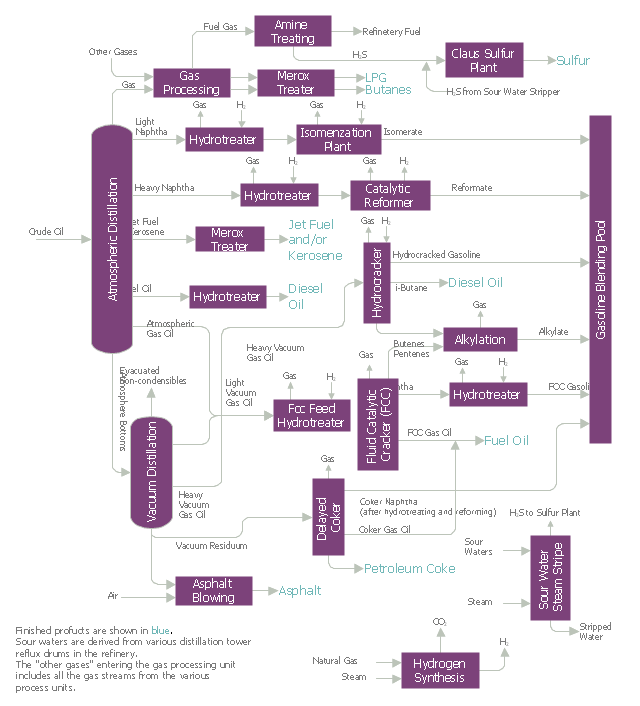 "This is a schematic flow diagram of a typical facility for separating and recovering liquid condensate from raw natural gas." 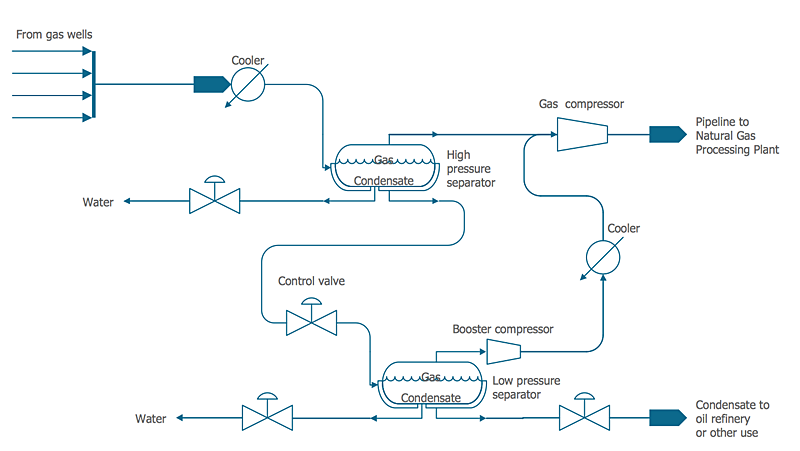 "Natural-gas condensate is a low-density mixture of hydrocarbon liquids that are present as gaseous components in the raw natural gas produced from many natural gas fields. 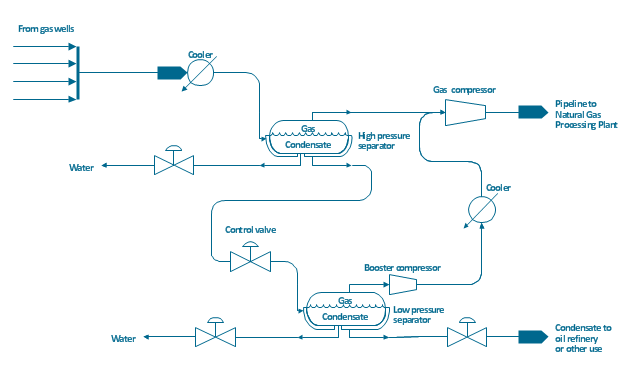 It condenses out of the raw gas if the temperature is reduced to below the hydrocarbon dew point temperature of the raw gas. 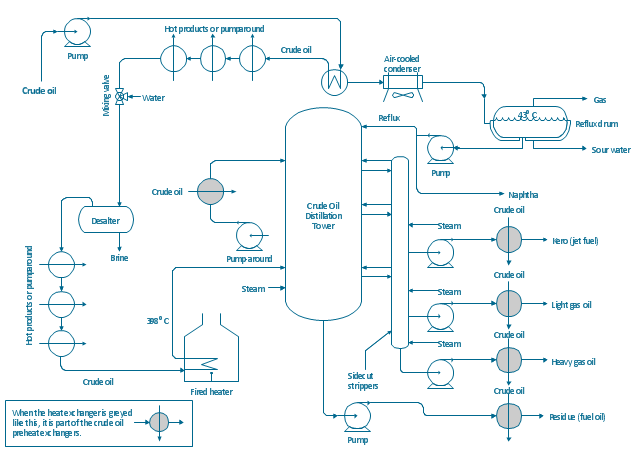 (1) Crude oil wells - Raw natural gas that comes from crude oil wells is called associated gas. This gas can exist separate from the crude oil in the underground formation, or dissolved in the crude oil. (2) Dry gas wells - These wells typically produce only raw natural gas that does not contain any hydrocarbon liquids. Such gas is called non-associated gas.